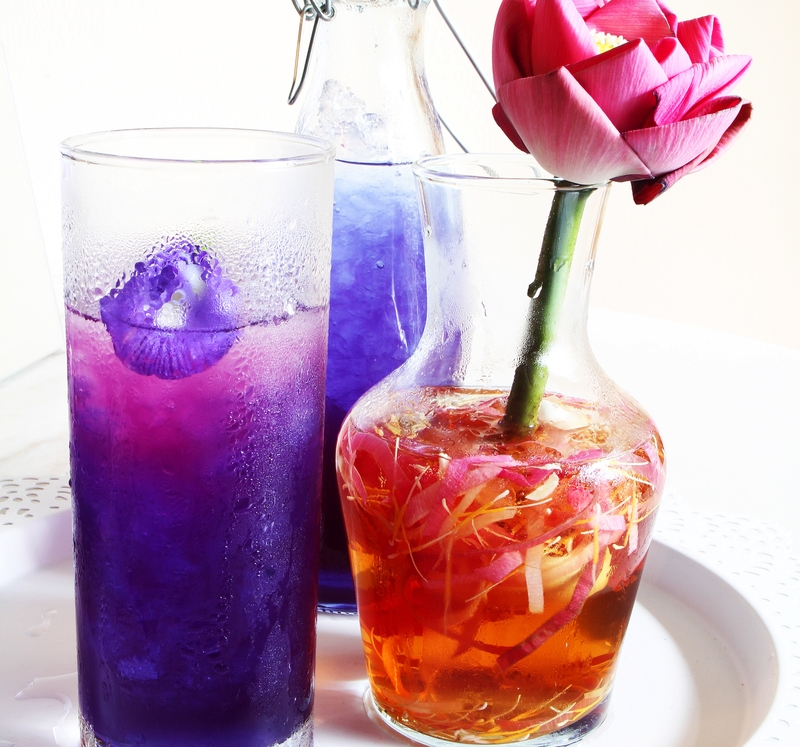 DELIGHT your guests with the vibrant colours of the Butterfly Pea Flower and Lemongrass cooler (left). This drink is perfect to quench your thirst on a hot day. In a pot, bring water to boil, then add the dried flowers and lemongrass. Simmer for 5 minutes over low heat, remove from heat and strain. Boil the mixture again and add the sugar, stirring until it dissolves completely. Turn off the heat and leave to cool. Serve with ice and a squeeze of lime. Japanese Jelly with Coconut Cream.